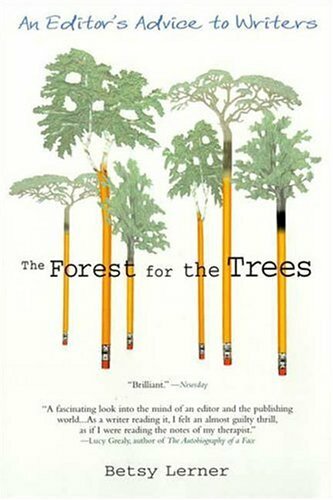 I’ve been reading Betsy Lerner’s book THE FOREST FOR THE TREES: AN EDITOR’S ADVICE TO WRITERS – it’s entertaining and thought-provoking, a great book for writers and people who want to write. If you are meant to write, if you are ready to write, if what you must do is write, then all you really need is paper and pencil…. the more you indulge any neurotic notions about a set of necessary conditions that will enable you to write, the colder the trail will get. With that, I’m off to review copy edits on my teacher revision book. Just as soon as I have my Post-It notes. And some tea. And my very sharp blue pencil. What about you? What are your "necessary conditions" that you may not need to write but you sure do like?